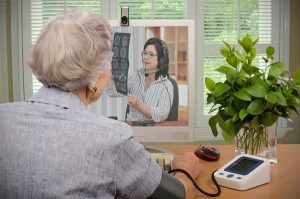 Anyone who has written about telehealth in the last decade has penned a January piece that begins, “This is the year telehealth technology finally takes off.” In keeping with the pattern, a second piece inevitably follows about 11 ½ months later, noting that telehealth didn’t quite take off as expected but, frankly, ought to in the year ahead, often for the same reasons that held back adoption over the course of the year. At the risk of sounding naïve, 2018 increasingly looks like The Year. But it’s not necessarily due to mergers and acquisitions, good earnings calls, or legislative progress. Yes, these matter, but they reflect outside forces pushing provider organizations. Such forces can only push heavyweight incumbents so far. Providers are finally starting to flip the script, turning telehealth from something they compete with to a competitive advantage they exploit. Rather, the evidence that telehealth is taking off comes from incumbents’ response to those outside forces. As last week’s World Congress Virtual Health Care Summit showed, providers have started to take matters into their own hands. The collective goal: Open a new front door to care that makes it easier for patients to access the services they need. Providence St. Joseph Hospital is building on the success (and lessons learned) from its acute and direct-to-consumer (DTC) telehealth implementations to branch out into post-acute and follow-up care. When patients visit the system website, they have the option to book in-person, in-home, or online appointments. The University of South Carolina offers acute care as well as chronic condition management (typically asthma) through telehealth services to more than 80 schools across the state. Future use cases include skilled nursing facilities (to provide after-hours access to care that otherwise results in an ED transfer) and DTC visits for patients covered under accountable care organization (ACO) contracts. Spectrum Health saw demand for its homegrown telehealth program, MedNow, spike during a recent flu season. The Michigan system’s marketing team touted the virtual visit as a more convenient way to seek treatment – and providers bought in because it meant patients with compromised immune systems weren’t exposed to an influx of flu patients. Now more than 30 percent of MedNow users are new to the health system. Ascension Healthcare, Intermountain Healthcare, and Spectrum Health all described taking a “platform” approach that made access to multiple telehealth services independent of the patient portal. The approach is akin to having a Gmail address but not needing to log into email to access Docs, Sheets, Drive, Hangouts, and so on. It’s important to distinguish between the front door to care and more traditional telehealth offerings. (While it feels odd to call any type of telehealth “traditional,” please bear with me.) The latter primarily provide phone, email, and video visits, with messaging and remote monitoring emerging as additional options. Kaiser Permanente notwithstanding, these modalities address one-off interactions, even for complex and high-risk patients. Care continuity takes a backseat to convenience. A door to care is opened, but it leads to a single room with no other doors. You have to go out the way you came in. The front door to care, meanwhile, provides an access point to a much larger array of healthcare services. The enabling technology is largely the same, but the difference lies in the way that it is used – to provide convenience and care continuity, to lead to many other rooms that are likewise linked, to lead patients to the way out, as it were, that makes the most sense for their current and future care needs. Admittedly, it takes substantial effort to erect a front door to care (and all the other doors behind it). In particular, speakers at the Virtual Health Care Summit noted the operational needs. The front line of patient care is impacted – and so is billing, legal, call center, licensing, collections, human resources, and so on. In other words, it requires a substantive change to the way a provider does business – and it explains why, until recently, providers have not been able to catch up with telehealth’s maturity. The front door to care provides an access point to a much larger array of healthcare services. The enabling technology is largely the same, but the difference lies in the way that it is used. Clearly the front door to care is not tenable in fee-for-service markets. (Think of all the parking, gift shop, and cafeteria revenue lost when patients and physicians opt for virtual care!) Nor is it tenable in states such as Massachusetts, which has yet to pass a law providing reimbursement parity for virtual visits. In the Bay State, providers essentially focus on small-scale bundled payment and ACO models while waiting for parity to open up additional opportunities. Elsewhere, though, the tide is rising. Providers are finally starting to catch up – and it’s because they have flipped the script, turning telehealth from something they compete with to a competitive advantage they exploit. That’s why, as our upcoming Market Scan Report describes, telehealth increasingly has moved beyond high-acuity inpatient care and low-acuity DTC care to play a greater role “beyond the hospital” in order to provide more coordinated care. And that’s because, as the Virtual Health Care Summit discusses, providers know that the revolving door at the entrance to the ED is no longer the preferred front door to care. Because if 2018 does, in fact, end up being The Year that telehealth takes off, smart providers want to be sure they don’t get left behind.